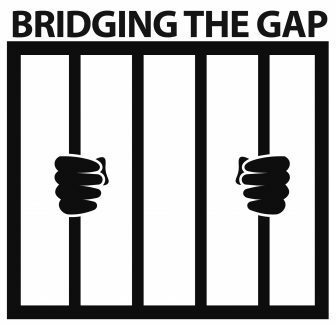 A monthly column in which various contributors from both sides of prison walls explore common ground for effecting change. I consider myself lucky to have the chance to do the work I do. Being part of an organization and a movement to build something beautiful – true racial justice and liberation – is more than a lifetime’s work. Although I know that the road is long and full of obstacles, the journey is a beautiful one that allows me to be in community with others dedicated to this work. At one of our day-long workshops at Lino Lakes Correctional Facility, I remember one man who had been incarcerated for many years on drug charges shared that he needed to do work in the community that gave him the same kind of high that drugs once did. He needed reality to be a place he wanted to be, not a place from which to escape. His words made me think that job training and placement programs must do more to understand what drives people coming out of prison. What will inspire them to see themselves as part of a community? How can we better align dreams and reality? I understand that often work is what we need to do to care for our families and pay our bills. My parents were immigrants from Thailand, and I remember how they would work as teachers every day, then go to work at restaurants on the weekends. Eventually, they were able to start their own businesses and even send their children to college. How then do we keep our dreams in sight, so that whatever work we are doing brings us closer? Kevin, our colleague Bridget Moore, and I recently met a woman doing that very thing. Michelle Rogers is on the road to establishing an organization that offers reentry support to women returning to the community from prison. Listening to her talk and seeing her pull out her many folders describing the project painted a picture of her dreams. As Michelle prepares to start her program, she is working different jobs just to make ends meet. But her vision is so clearly in front of her that everything else seems just a part of the journey to that dream. I’m a prison justice organizer, which means that I work from behind the walls, on the front line, in an elusive quest to end mass incarceration. Being a community organizer is something that I always dreamed of since I was child. The thought of being in a position to use my experience to be a beacon of hope to others was something that I always felt spiritually connected with. I never knew mass incarceration would be the catalyst that would activate the calling that I’ve been hearing since I was young. With this spiritual connection to my job, I never see my work as work. I always feel like I’m living in my dreams. There is a distinct difference between having skills and having a gift. Skills are something that can be taught and sharpened through preparation and training. But a gift is something holy and ordained; it is the very essence of who we are, and is our purpose for being here. It is always such a pleasure to work with people who are working in their dreams and letting their gifts shine through. There is something magical about this, while at the same time there is something out of alignment and destructive when working with people who are not working and living in their dreams. This is true throughout our entire society. A lot of the tensions that we face every day is caused by our inner actions with people who wake up every day and go to a job that they feel spiritually disconnected from. This energy of working out of alignment is evident in our work with law enforcement, community organizers, teachers and politicians. How great would it be if we all identified our gifts, respected those gifts, and celebrated the gifts of others, and we showed up in society every day with our gifts on display? How powerful and productive our society would be. The creator created us all to live in peace and with purpose, and I think that peace is tied to us living in our dreams. Of course we would have to defeat White supremacy and overcome any internal oppression for these gifts to have the soil to be planted and nourished in. My goal as a community organizer is to live in that dream and do all that I can to create space and opportunities for others to identify and live in their dreams as well. I know along the way we all sometimes can lose our way. I would like to urge everyone to take a moment and ask yourselves if you are living and working in your dreams. If so, how do you promote that liberation to others? And if you are not, how do you find your way back? This is the duty of humanity, to use your God-given abilities to promote the advancement of the human race. Vina Kay, executive director of Voices for Racial Justice, and Kevin Reese are participants in Voices for Racial Justice’s “BRIDGE Partnership.” Vina and Kevin plan to continue their dialogue monthly over the next year, culminating in Kevin’s release in February 2019. Reader responses are welcome to info@voicesforracialjustice.org. To learn more about the organization’s work, visit www.voicesforracialjustice.org.